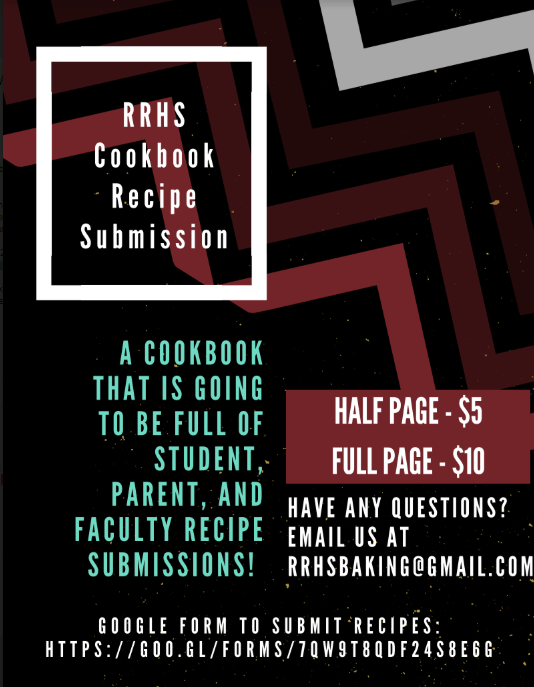 Round Rock High School Baking Club and the Rock Shop is starting a new tradition of having a cookbook every year full of student, parent, and faculty recipe submissions! Our goal with this is to promote unity, and diversity among Round Rock High School and we can’t wait to see what everyone submits! You can submit your recipe here, and turn in money to room 1314 with Eric Chaverria! For half a page of the cookbook it will be $5 for a submission, and for a full page of the cookbook it will be $10 for a submission. On the page, there will be a place to dedicate your page if you would like and have your family name. If you would like any specific things on your page, please feel free to reach out to us at rrhsbaking@gmail.com.